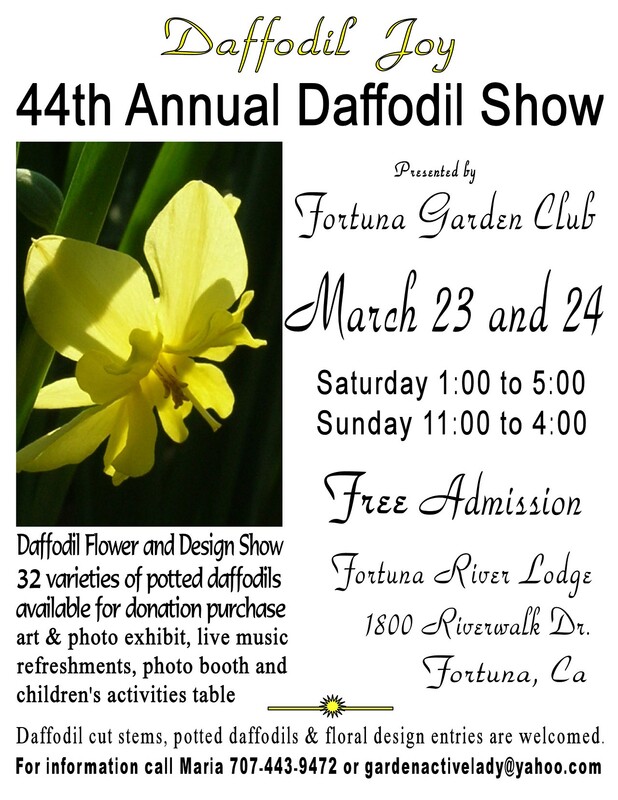 Welcome Spring with our Daffodil and Design Show. 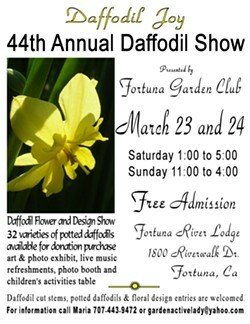 32 varieties of potted daffodils for donation purchase. Art and Photo exhibit, live music and refreshments. Daffodil cut stems, potted daffodils and floral designs welcome.